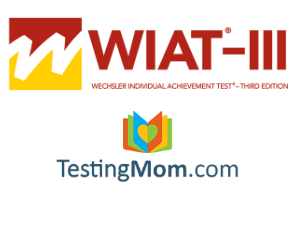 The WIAT Test (Wechsler Individual Achievement Test) is an individually administered test that takes about 30 to 90 minutes. It us used for ages 4 years and up. Specifically the WIAT is used to measure the strengths and weaknesses of your child, so that the school may determine need for special support or notice stand-out skills in specific areas for gifted and talented programs, especially for children who are twice exceptional (refers to intellectually gifted children who have some form of disability). There are 16 subtests to measure the 8 areas of achievement specified by US federal legislation (IDEA) to identify and classify learning disabilities. These include language, reading, written expressions and mathematics. The detailed breakdown of how each of the 16 subtests make up the 8 different scores can be seen in the image below. To get started preparing for these 16 subtests, check out our 100 free questions. 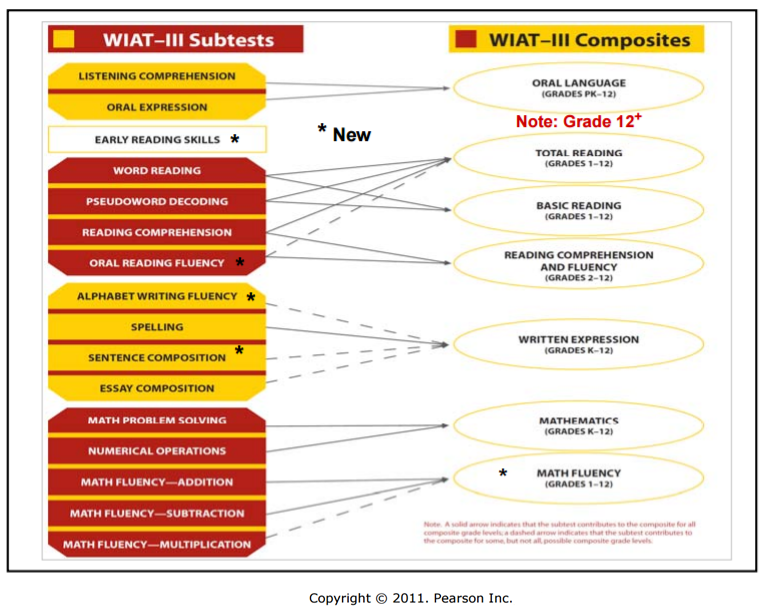 Here is a list of the subtests found on the WIAT-III test. Here is a list of the composites found on the WIAT-III test. *Pseudo word decoding is reading a variety of nonsense words, where the your child must apply his or her phonetic knowledge to sound out unfamiliar words. This subtest is a good indication of reading problems such as dyslexia.